Racing Stables Directory - O Horse! Ashauer Thoroughbred Racing Stables, Inc. I am a hands-on Thoroughbred owner/trainer who participates in every aspect of the conditioning and development of the athletes under my care, including galloping, shoeing, and even grooming. I am currently seeking owners interested in racing their horses for great purses at Prairie Meadows in Altoona, IA, and then at Remington Park in Oklahoma City, OK. 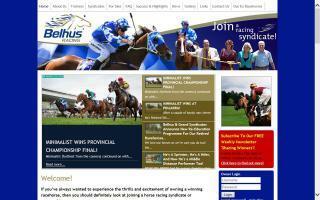 Racing syndicates and racing partnerships in Sydney, Melbourne, Perth, and Brisbane. 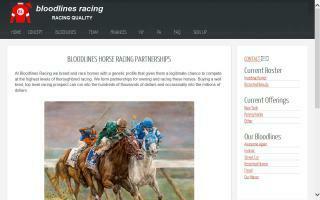 Racing syndication makes it easy to own a racehorse! We breed, raise, and train race horses. I break & exercise them. I have written & published a track grooming book. I make braided ropes & reins to order and provide services, such as pulling manes, cleaning sheaths, etc. We also stand a TB stallion. Email if you need my help. Thank you. Billie Jack Farms is an excellent race horse training facility with a 5/8 track and starting gate. We offer full care, partial care, or self care horse boarding year round. We have two hot walkers, round pens, turnout areas, and more. Call now for more information. 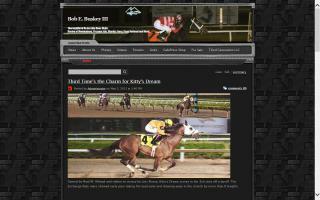 Sprint horse racing and breeders. Specialising in Quarterhorse pedigrees. At Bloodlines Racing, we breed and race horses with a genetic profile that gives them a legitimate chance to compete at the highest levels of thoroughbred racing. We form partnerships for owning and racing these horses. Bob Baffert Horse Racing Stables Inc.
Thoroughbred racing at Mountaineer, Presque Isle, Penn National, Charles Town, and more. Lowest rates available. Looking for owners with thoroughbred race prospects to train and compete in Erie, PA, at Presque Isles Downs. Reasonable day rates and great purses! 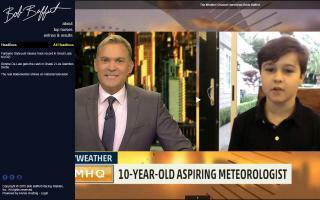 Also looking to buy race prospects on the cuff with right conditions. Call Ted at (740) 463-6953.